The major threats to cassowaries are from the loss, fragmentation and modification of habitat, vehicle strikes, human interactions, dog attacks, pigs, disease, and catastrophic natural events. Clearing for farming, urban settlement and other development has seriously reduced cassowary habitat, and much of their traditional feeding grounds have been lost in the coastal lowlands and Atherton Tablelands. It is estimated that as much as 80% of lowland cassowary habitat had been lost by 1997. 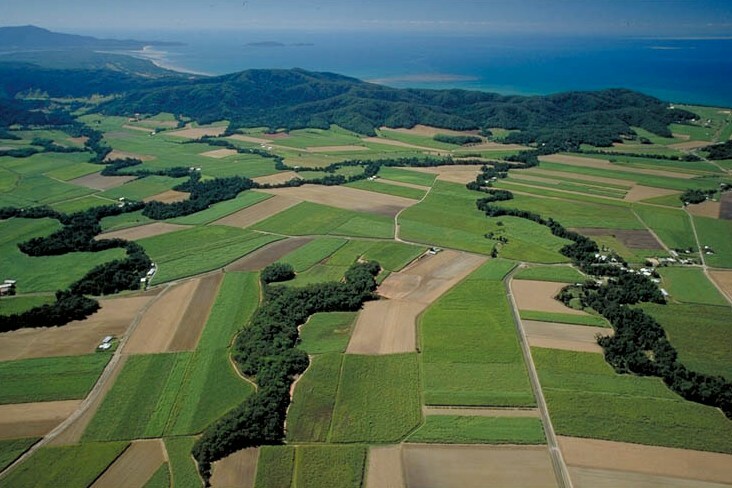 What remains are relatively small, isolated fragments, disconnected from the more extensive forests of the Great Dividing Range. 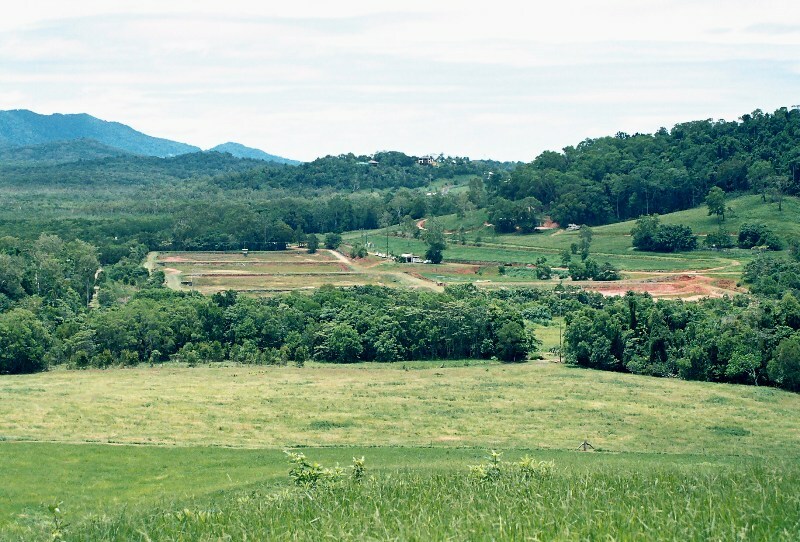 Although clearing of native vegetation is restricted under the Vegetation Management Act 1999 (VMA) and the Sustainable Planning Act 2009 , small scale clearing and urban development continues to threaten the existence of cassowary populations outside of protected areas by reducing connectivity or preventing access to traditional foraging areas. Roads cut through cassowary territories, making it necessary for the birds to travel across them when looking for food. People hand feeding birds from cars or tossing their rubbish out of car windows, attracts cassowaries to roads, sometimes with fatal results. 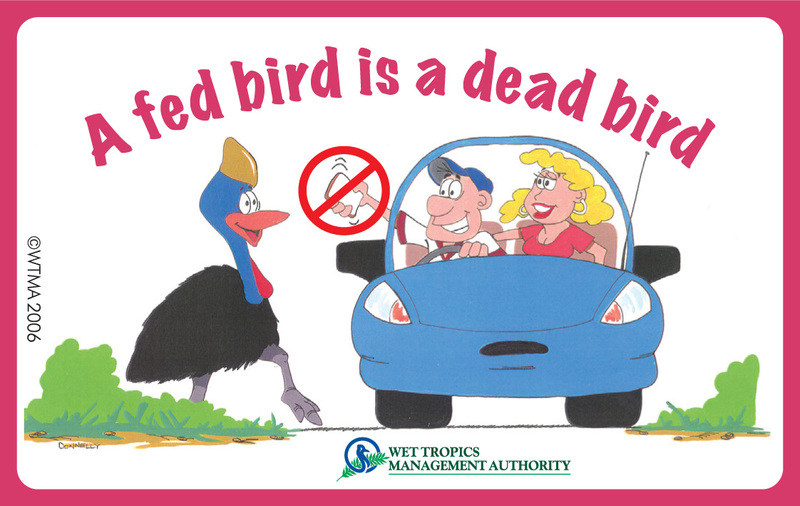 Road accidents are the greatest single cause of cassowary deaths in the Mission Beach area. 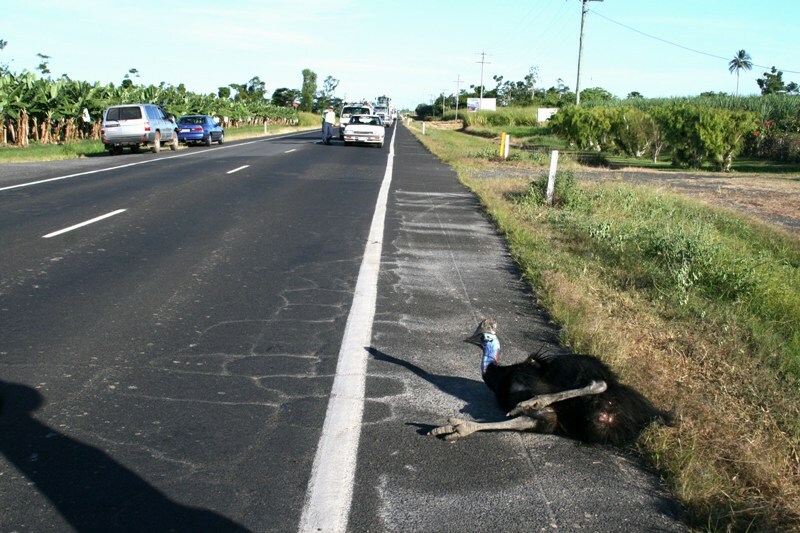 After cyclones, road deaths increase significantly because cassowaries are forced to move around more in search of food. 17 cassowaries were killed on local roads in the year following Cyclone Larry (March 2006) and a further 12 in the 12 months following Cyclone Yasi (February 2011). Along some regional roads where cassowary crossings are more frequent, speed limits have been reduced and road treatments (e.g. speed humps or cautionary signage) have been introduced. Such measures are only effective if drivers take notice and modify their driving accordingly. Please keep an eye out for cassowary road signs and always drive cautiously through cassowary habitat. Hand-feeding of cassowaries, or leaving food for them in the back yards, is a risk to both birds and people. Wild cassowaries can become aggressive when seeking food or if they or their chicks feel threatened by the presence of humans. As birds become less wary of humans, they may also become more vulnerable to dog attack and road mortality as they move around looking for food in populated areas. After a cyclone, when food is naturally scarce, people see cassowaries moving around more than usual looking for food, and are more inclined to feed these hungry-looking birds. However, this only encourages them to remain longer in populated areas, exposing them to greater risk from cars and dogs.